I have purchased the license and made a payment via PayPal but it has sent an eCheque instead of an instant payment. Do I need to wait until a week to get the application license as PayPal may take a week or more to clear the payment? How do I change my password and profile details? How to upgrade from Personal edition to Corporate Premium edition? I'm willing to buy EdbMails application license, please let me know the main difference between the Personal, Corporate Premium and Technical license. How do I send my queries to EdbMails? EdbMails requires login. That means, EdbMails keep my database details on Cloud? Do you send key to use the application once I purchase the license? 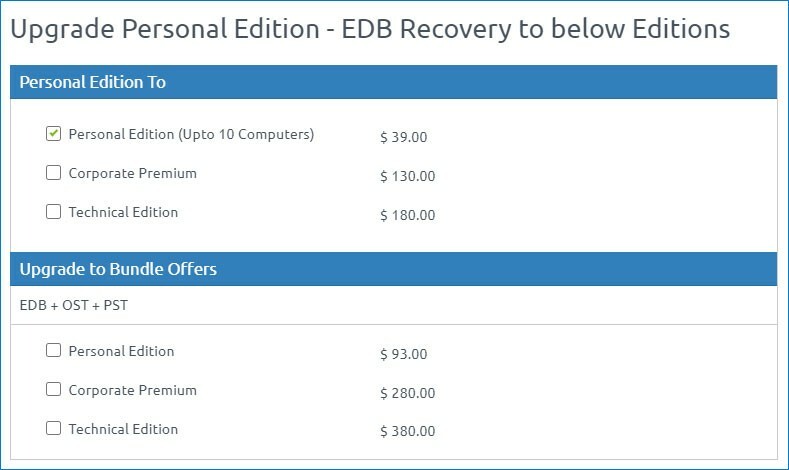 I have purchased EDB Recovery license. Dose this support other Recoveries and migration such as OST, PST, Exchange Backup etc? 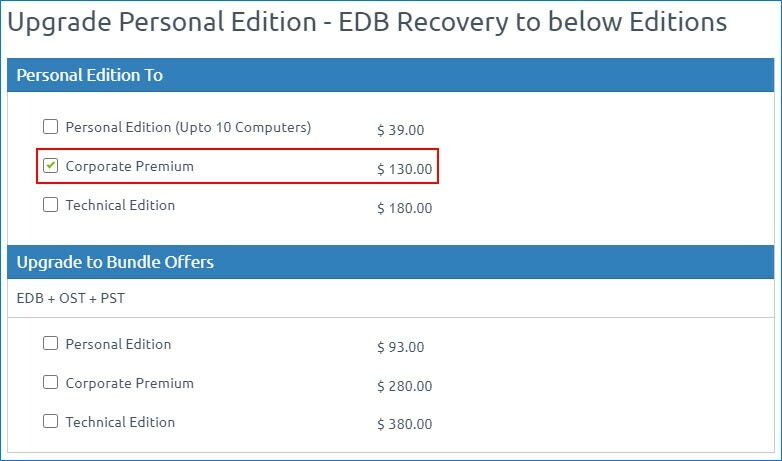 I have purchased EDB Recovery license. How can I purchase other recoveries, migration and backup? No need to wait for a week for the application activation. Upon receiving eCheque payment confirmation, we will activate your account without delay. However, If there is any delay in activation, kindly contact our support with the details. Login to your account here and hover on your email address at the top right corner. Click the 'My Profile' menu to goto change your password or other profile details page. Step 2: Hover on your email address at the top right corner. Click the 'Upgrade License' menu. Step 3: There click the 'Upgrade License' Button. Step 4: In the next page choose Corporate Premium license and proceed to the payment page. Personal Edition is for Corporate, Small and Medium enterprises, Government and Educational Institutions. Personal edition can be installed on limited number of computers for non-commercial usage. 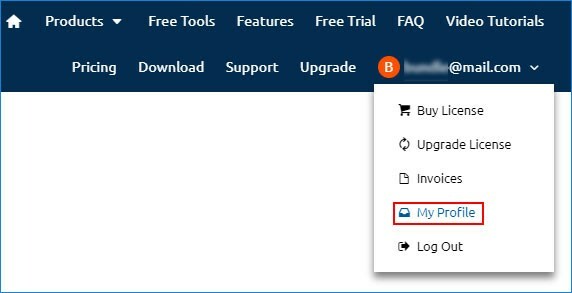 Personal edition users can only export EDB to PST file and it will not support EDB to Office 365 and EDB to Live Exchange Server migration. Personal edition comes with EdbMails Technical support assistance. The Corporate Premium Edition is an extended version of Personal Edition. 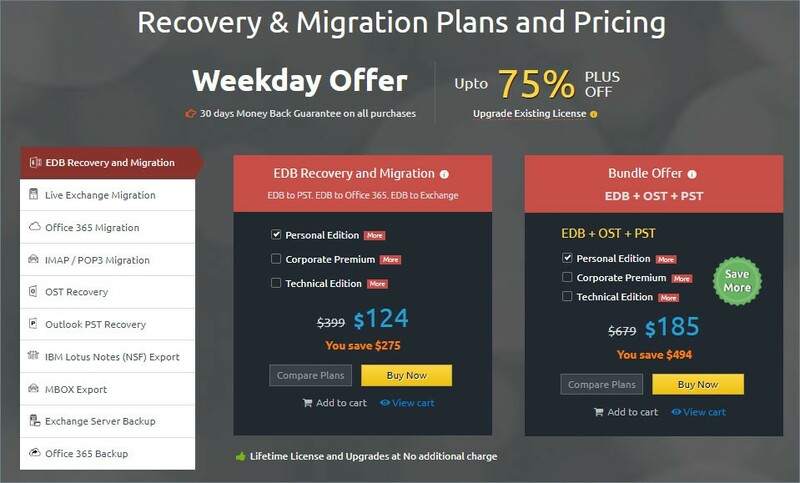 Corporate Premium edition users can uninterruptedly export EDB to PST and can perform EDB to Office 365 and EDB to Live Exchange Server migration seamlessly. Corporate Premium edition users will not have any restriction on number of computer installation and can install the application on multiple computers. Corporate Premium edition comes with complete 24/7 EdbMails Technical support assistance. Technical edition is for Data Recovery Companies and it can be used for providing data extraction service to the customers. Technical edition users can uninterruptedly export EDB to PST and can perform EDB to Office 365 and EDB to Live Exchange Server migration seamlessly. Technical edition users will not have any restriction on number of computer installation and can install the application on multiple computers. Technical edition comes with complete 24/7 EdbMails Technical support assistance. It has life time support and upgrade with no additional cost. Click here to send your queries to EdbMails Tech Support. No. EdbMails requires login to ensure your account access security. EdbMails will not keep your database details on cloud. Login to your account here and hover on your email address at the top right corner. Click the 'Invoices' menu. Under Invoice details page, you have the option to print the Invoice. No. EdbMails does not require any key to use the application. Upon purchasing the license, the application will automatically starts working as per your license type. 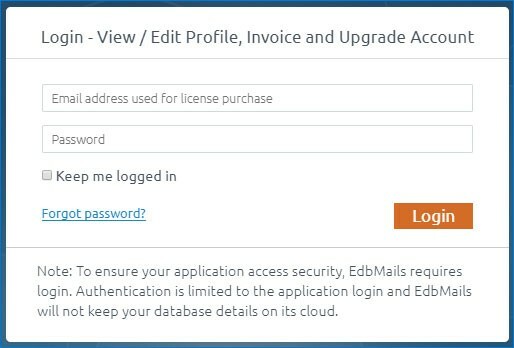 Login to the EdbMails application using the credentials (E-mail address and Password) that you have used during license purchase. Login to your account here and hover on your email address at the top right corner. Click the 'My Profile' menu. To have the invoice in your company name, you can change the "First Name" to your company name. Also if you need Customer VAT Number you can mention the "VAT Number". Then submit the changes. To print the updated Invoice, click the 'Invoices' menu from the top right corner. In the next page you will be getting Invoice details page, Here you have the option to print the Invoice. Step 3: Click the 'Upgrade License' Button. Step 4: In the next page, choose the license type and proceed with upgrade. For other Recoveries and migration such as OST, PST, Exchange / Office 365 Backup etc., you need to purchase the license separately. Step 2: Click the 'Buy' menu.